Torontonians will get their first look at a massive casino complex being pitched for Exhibition Place today. MGM Resorts International and Cadillac Fairview have scheduled a briefing for 10 a.m., where they are expected to outline their “plan and vision” for the proposed casino. Though few details are known, MGM has previously suggested that the proposal will include a permanent venue for Montreal’s Cirque du Soleil, as well as gaming, hotel, retail and conference facilities. Wednesday’s briefing, which will be followed by a question and answer session, comes one day after a media report suggested that Mayor Rob Ford and 13 other councillors have already been given a private preview of MGM’s vision. According to the report in the Globe and Mail, MGM has been lobbying hard for the project behind the scenes, using a suite at the Sheraton Centre across the street from city hall to pitch its ideas to city councillors. 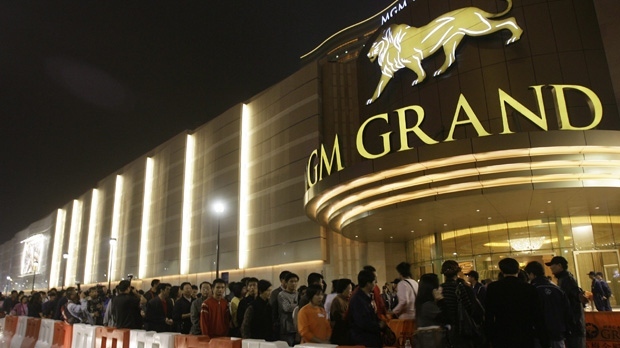 MGM and Cadillac Fairview are not the only ones interested in bringing a casino to Toronto, with fellow Las Vegas heavyweights Onex, Caesars and Wynn Resorts also reportedly interested. Council is expected to vote on whether to allow a casino to set up shop in the city sometime this spring, at which point the individual proposals would be considered. So far Mayor Rob Ford has voiced support for the idea, saying it could be a way to help bring in revenue for the city without raising taxes, however many other councillors have said the social cost would outweigh the benefits. On Tuesday, Sandy Garossino, an anti-casino activist from Vancouver, appeared at a news conference at city hall flanked by Coun. Mike Layton. Las Vegas-based MGM and Toronto-based developer Cadillac Fairview promise thousands of jobs, $2 billion to $4 billion in investment and a stampede of tourists, on the website expected to be officially announced Wednesday along with an official Facebook page. They say an integrated casino resort at Exhibition Place would include a luxury hotel, convention facilities, restaurants, nightlife, “best-in-class” shopping — and gambling in less than 10 per cent of the resort. A Toronto Integrated Resort would be capable of generating between 7,000 and 9,000 full-time permanent union and non-union jobs. Direct and spinoff jobs would generate $350-$500 million in new earnings for Toronto residents. MGM anticipates its non-executive Toronto casino employees would earn more than $60,000 per year in salaries, wages, benefits and tips. Positions may include: graphic designers, housekeepers, architects, software engineers, sommeliers, hairstylists, auditors, financial analysts, gymnasts, electricians, carpenters, surveillance experts and seamstresses. A new integrated resort will be able to attract at least 1 million new visitors a year from outside Ontario who will spend between $500 million and $1 billion on non-gaming activities. The website does not mention that Brian Ashton, president of the board that runs the Ex, is lobbying city councillors to reject the proposal, out of fear a casino-resort would take up too much room and kill the annual fair. And while it acknowledges that gambling addiction is a “public health issue” and touts MGM efforts to curb the problem, the site does not note the city’s board of health has said the public health risks outweigh potential benefits. Ontario Lottery and Gaming Corp.’s modernization plan includes one new privately built and operated casino in the GTA. Other companies eager to build in Toronto include Caesars Entertainment and Las Vegas Sands, but OLG says it won’t force a casino on communities that don’t want one. In the other social media corner is No Casino Toronto, which has used Facebook and Twitter to grow from three concerned women to a city-wide campaign against a downtown casino. Last month, the group boasted to the Star: “We literally own the conversation around Toronto casinos on social media,” based on a dramatic increase in visits to its Facebook page. “Likes” for the page were growing by 1,000 per week, up from 80 per week in December. The group reported a similar jump in use of its survey that uses respondents’ postal codes to automatically email the results to their city councillor. Mayor Rob Ford’s executive is expected to vote on the casino question next month, but city council will have the final say, probably in April. Mayor Rob Ford and the Toronto casino he supports both fared well in polls released this week. One poll, by Ipsos Reid, showed a slim majority of respondents in favour of allowing a casino in the city. Previous polls had suggested significant opposition to the provincial proposal, which Ford has endorsed. Another poll, by Forum Research, showed an improvement in Ford’s approval and disapproval ratings, which had been dismal since the fall. While the ratings remained weak — 47 per cent approved, 53 per cent disapproved — they were significantly better than the 39-61 approval-disapproval split Forum showed in February, and the best for Ford since last June. Toronto residents still have five days to speak out on the controversial prospect of casino development in their city, but Mayor Rob Ford says he already knows what most people think. An outspoken proponent of casinos, the mayor devoted much of his radio show to extolling the benefits — in jobs and revenue — that he says would flow from the construction of a major casino somewhere downtown, along with an expansion of the gambling attractions already available at Woodbine Racetrack. His brother Doug — radio co-host and city councilor for Ward 2, which contains Woodbine — is also an enthusiastic advocate for casino development and joined the mayor on air in promoting the expansion of gambling facilities in Toronto. “This is all about creating jobs, folks,” he said. The Fords’ latest pitch for gambling came one day after the city wound up a series of five public consultations meant to inform residents about several proposals for a major casino development in the city. A Las Vegas Sands casino-resort on Front St. W. would put Toronto “back on the map,” as a convention city and inject some more “fun” into downtown, says the company’s president. Only downtown, a visitor magnet — not Exhibition Place, the Port Lands or another GTA location — would work for Sands, he said. Ontario Lottery and Gaming Corp. is preparing a tender process for one new GTA casino and says it won’t foist it on an unwilling community. 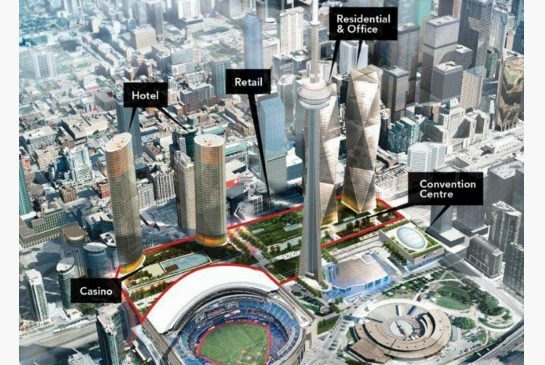 Casinos usually comprise 5 per cent of the space in a Sands integrated resort, Leven said, adding that convention and meeting space, a hotel with up to 2,000 rooms, entertainment venues and eateries would all help triple the size of the Metro Toronto Convention Centre at Front and Simcoe Sts. “I can remember when Toronto was one of the top destinations for conventions and meetings,” the former hotel executive said, noting his industry contacts say a shortage of major facilities is holding us back. “What we put in downtown Toronto is more people, more visitors, more conventions, more leisure and more fun — the casino is a part, but it’s not the only part,” Leven told the Economic Club of Canada gathering. 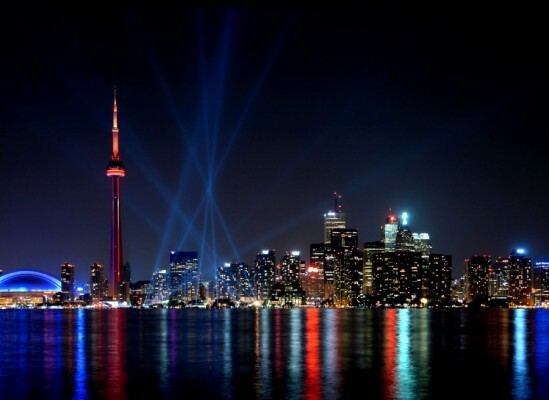 David Whitaker, president and chief executive of Tourism Toronto, said in an interview that Toronto is ranked 29th in North America by size of prime exhibit space. More contiguous space would draw more visitors, he said. Convention centre owner Oxford Properties is proposing a $3-billion overhaulOxford Properties is proposing a $3-billion overhaul — if it gets a casino anchor tenant. Caesars Entertainment also wants to build a casino-resort there, while MGM Entertainment is focused on Exhibition Place and potentially part of Ontario Place. Leven shrugged off concerns over gridlock and parking on Front St., saying he has been told 2,000 spots would be adequate given that most casino events happen at night and many patrons would use public transit. Sands would be willing to help pay for infrastructure improvements, he added. Oxford is awaiting a consultants’ study but says it is convinced changes made as part of the expansion would improve traffic flow in the area. Toronto council is expected to vote on the casino question in April. Sands, controlled by billionaire and Republican super-donor Sheldon Adelson, owns The Venetian and The Palazzo casino resorts in Las Vegas but gets most of its revenue from its gambling meccas in Macau. The debate of “should gaming exist in our community or not” has already come and gone. With slot machines at Woodbine Race Track for more than a decade, buses ferrying people daily to Fallsview and Rama, and being able to play poker on a laptop from the comfort of your home, gaming is available and accessible to anyone who wants to participate. In fact, the Ontario Lottery and Gaming Commission welcomed 39 million visitors to its various locations last year. As to a casino’s potential in Toronto — it would be a job creator and tourism attractor. Properly situated and sized, a casino would be a significant new addition to Toronto’s tourism infrastructure that includes professional sports, music and entertainment, theatres, museums and galleries, restaurants and clubs. A casino will immediately be able to tap into the already existing Toronto tourism market of more than 10 million overnight visitors annually and has the potential to add to this number. What casinos are not is a tax on stupid people or corrupt enterprises that prey on the poor. While this might be great rhetoric, it isn’t backed up by the facts. Research shows the average casino player is slightly older, wealthier and better educated than the general public. They may not dress in evening clothes like the people did in Monte Carlo in the 1950s and ’60s, but then, neither do the people who go to the ballet and the opera. So then, what will the likely outcome be for the city? Will it be a positive experience? For an answer it is instructive to look at the outcomes of casino development elsewhere. Research of community leaders in U.S. jurisdictions outside of Nevada with casino gaming were asked that if they could go back in time, would they do it all over again? Fully three out of four said that they would vote for casinos, citing the positive benefits on their communities — additional tax revenues, jobs, secondary economic development and contributions to community and charitable organizations. A casino would be a positive new addition to the tourism infrastructure, and could be a catalyst in driving further economic development and enhance overall tourism, revenues and jobs in Toronto. MGM International Resorts would hire and promote Canadian talent — including Cirque du Soleil and chef Mark McEwan — if chosen to build Toronto’s first casino, MGM chairman and chief executive officer Jim Murren says. The casino would attract a million visitors a year from outside Ontario and generate $1 billion a year in non-gaming activity, Murren also said in a speech to the Economic Club of Canada on Tuesday. Toronto is challenged by its transportation infrastructure and, while an integrated resort wouldn’t solve those problems, it could help by generating new revenue, he said. Rather than “cannibalize” existing businesses, an MGM-style resort would create new opportunities, he said in his first major public speech. MGM Resorts is betting the city of Toronto has “no better than” a 50-50 chance of approving a casino, Murren told a Global TV show earlier Tuesday. Murren’s speech comes amid a public consultation process the city managers’ office has undertaken to determine support for a casino. The city manager is scheduled to report back to the mayor’s executive committee on the issue in March. City council is expected to vote on the issue in April. The public events have been roughly evenly split between casino supporters who see the economic benefits and critics who fear an increase in crime and gambling addictions, Murren said. 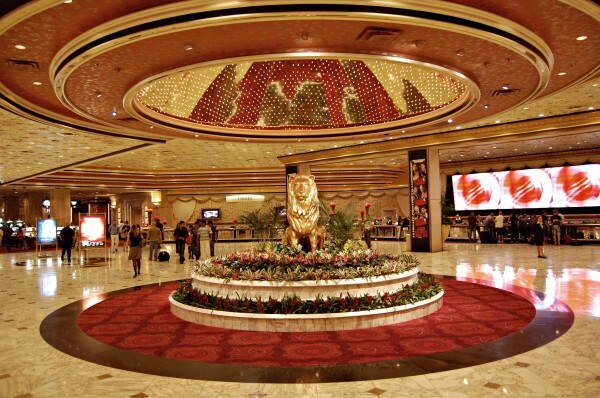 He said MGM builds large integrated resorts aimed at well-heeled patrons with a lot of disposable income, who want to shop, dine and go to live shows as well as gamble. Only 10 per cent of the resort would be devoted to gambling, he said. The resorts bring in tourists from around the world, create jobs and boost the local economy, he said. “If we were to invest $2 to $4 billion in Toronto we would employ thousands of people. The average income of the people we employ is over $60,000 a year,” he said. It would take three years to build, employing thousands more people. Toronto is one of the most attractive cities in North America to build one because of its highly diverse population, he said. “Many of them are already our guest at the Bellagio in Las Vegas,” he said, referring to one of MGM’s premier properties. Other projects MGM is pursuing are much smaller, for example near Washington, D.C., where it plans to spend $800 million.